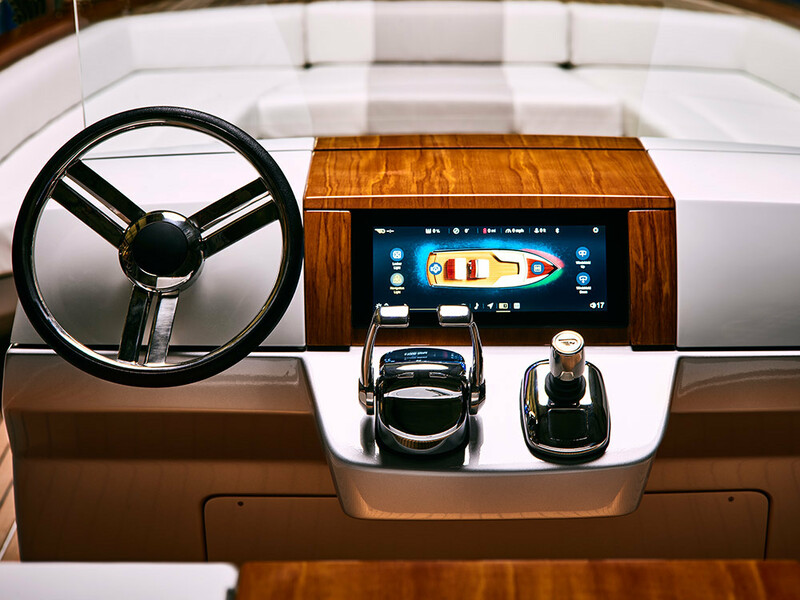 Sleek and stylish, the Hinckley Dasher is the world's first fully electric luxury yacht—and with a stack of bells and whistles, it's something you'd only dream of seeing in the movies. 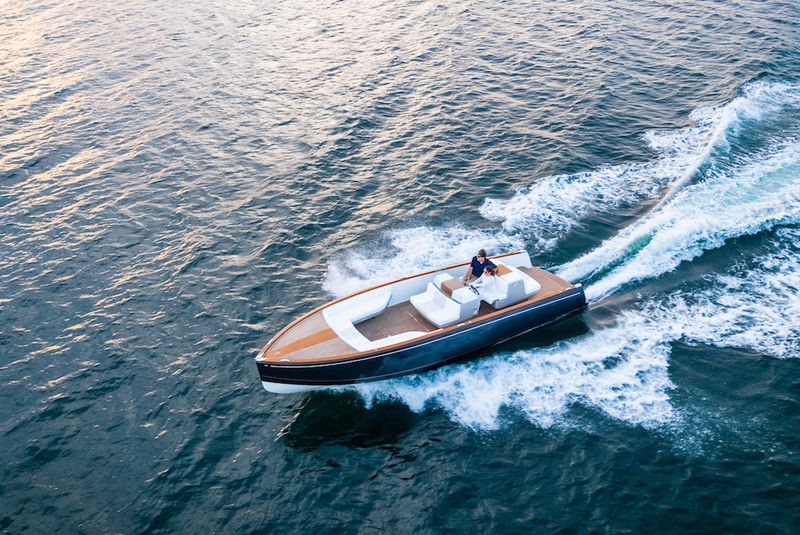 If you feel like channeling your inner James Bond, then don a tux, pour some Veuve Clicquot and jump aboard the new Hinckley Dasher, the ultimate driving machine - on the water. 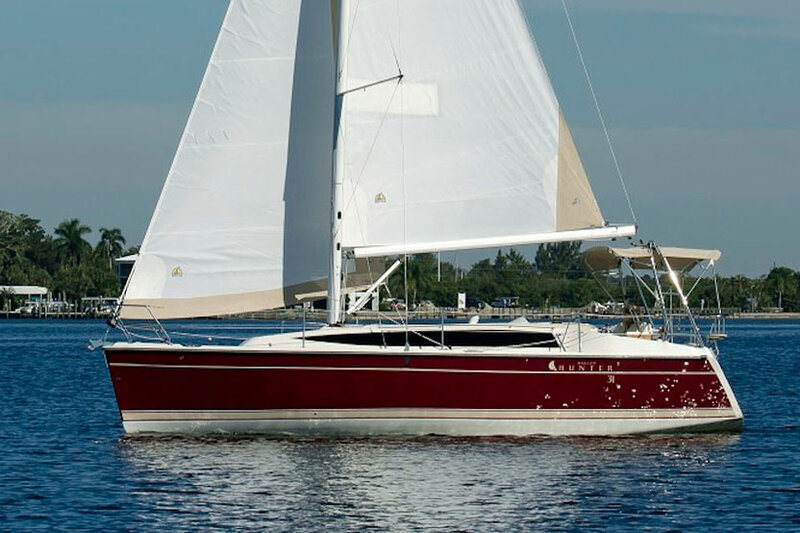 Designed by Michael Peters, this sleek 28-footer was built from the ground up for electric propulsion but that’s the least of its wow factor. 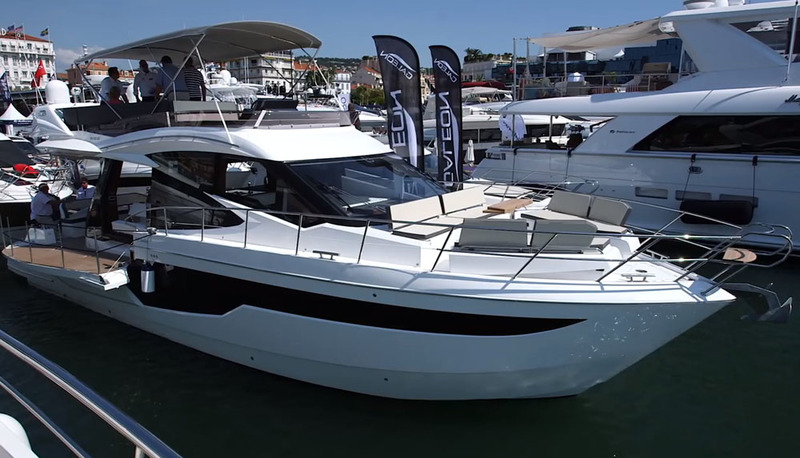 Have a look for yourself in our First Look Video we shot at its first release at the 2017 Fort Lauderdale International Boat Show. 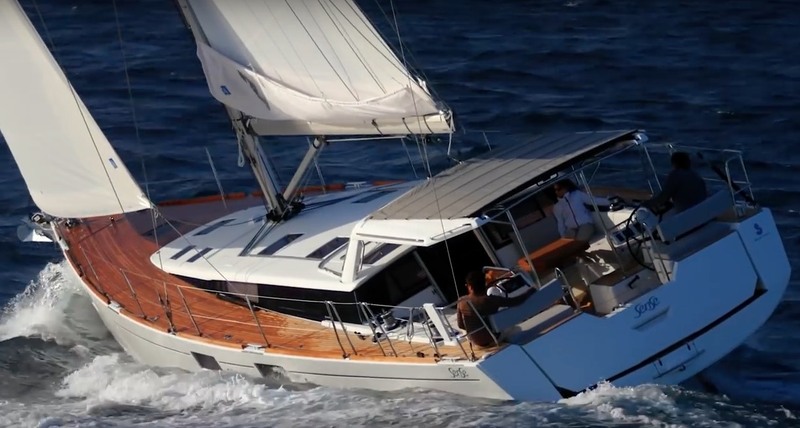 This boat is so streamlined, it’s downright minimalist, but don’t think of it as simple. On the contrary, this classy newcomer is mostly definitely skating on the bleeding edge of technology. Picture 3D-printed components like various shardware (engine throttles for example) that are styled in brushed titanium to not only appeal to the eye and hand, but also to minimise overall weight. In fact, this resin infused build mixes epoxy and carbon fiber with a synthetic core so it weighs in at only 2,948kg. And that’s key when your silent running is completely electric. Hinckley also made sure there were no organic materials used in the construction of the Dasher. That’s right, even the “artisanal” teak is faux wood that was hand painted to look like grain-matched true wood trim. 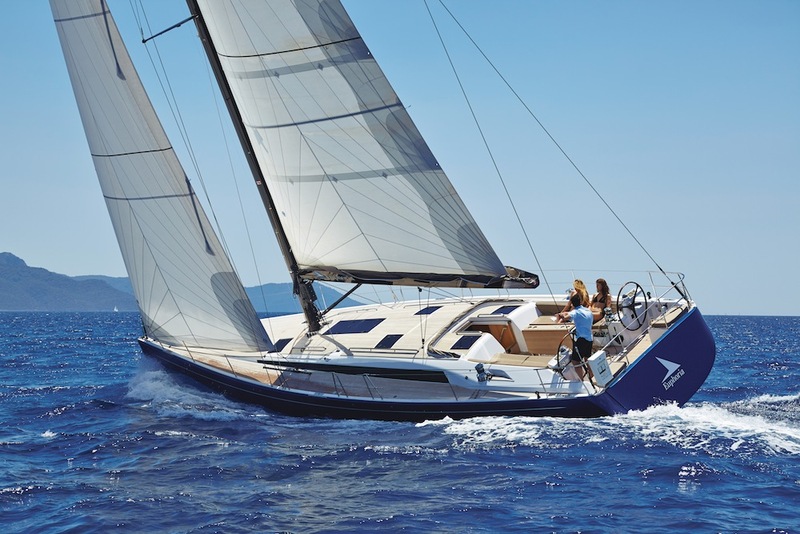 That makes the onboard materials durable, lightweight and presumably, completely sustainable. There's no doubt you'll feel like 007 cruising along in this ultimate driving machine. Beneath the Dasher’s retro styling and uber-classic design, lies a ton of technology that would have been unimaginable just a few years ago. 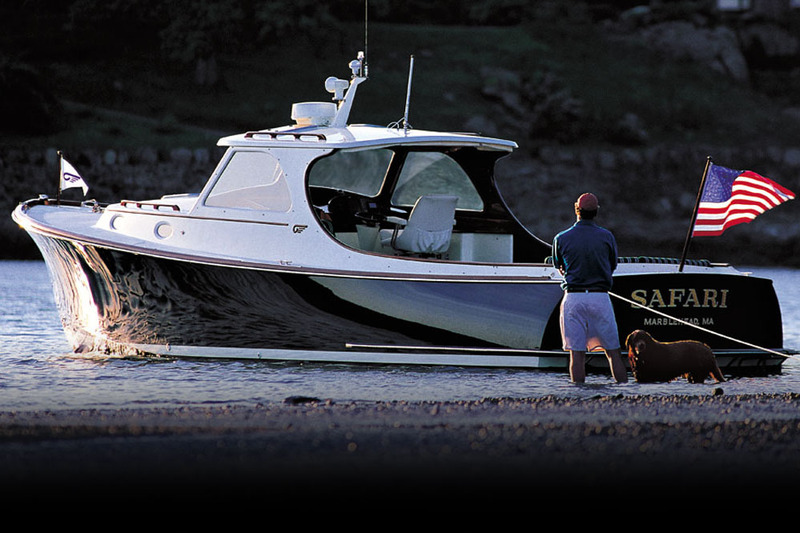 Nifty details on this center console ride include hidden cup holders that slide out with just a tap and a windshield that lowers electrically so the driver can converse with her guests seated in the bow. A table may be installed in the bow and the dual helm seat looks more like a fore and aft-facing mid-century modern sofa than a boat settee. The proprietary touchscreen navigation and digital switching system is as discreetly integrated as everything else. As you run to escape the evil Spectre, expect to reach 23 knots of top speed. 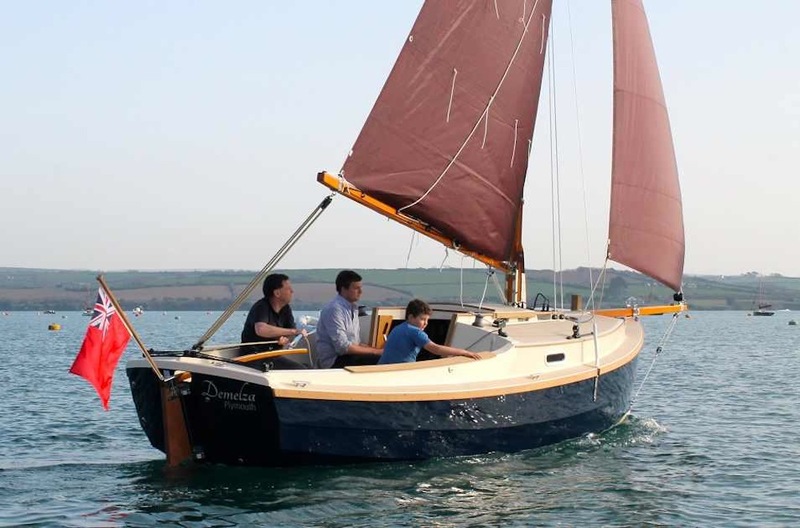 You can also just cruise at a leisurely pace so as not to spill your champagne, around 8.5 knots. 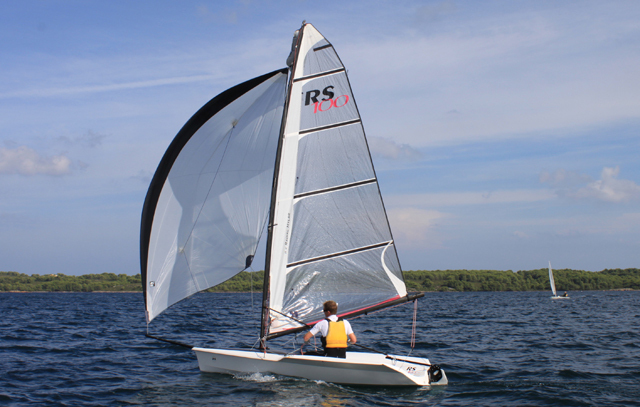 The maximum range at 20 knots will be 40 miles and the best part is, it’ll be completely silent and stealth. Are you ready to experience electric propulsion? If so, come aboard the Dasher. Of course, you don’t have to be 007 to drive the Dasher. 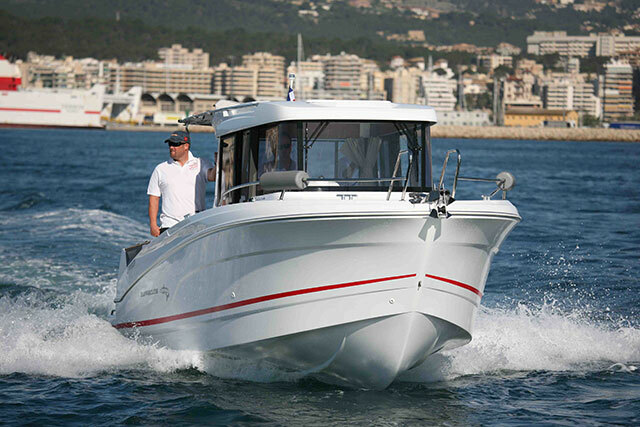 Maybe you just want to cruise lakes where only electric propulsion is allowed or zip from your superyacht to a waterfront sushi restaurant in the ultimate statement tender. Whatever the circumstances, your arrival will be stylish and noted.